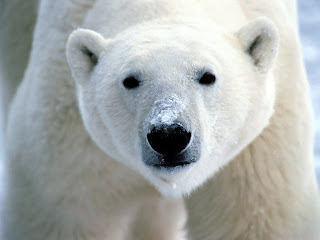 Let me start off by saying, I don't have anything against Polar Bears. In fact, apart from the fact they can be pretty vicious, I think they are pretty cool. Yes, Bundy Bear. That hairy, white giant that flogs Bundaberg Rum. I mean, who does he think he is! You can't just go around disabling and changing people's neon signs...they cost a lot of money! And what's with the girls diggin his pink dye-job? Still I shouldn't be suprised that girls are throwing themselves at Bundy Bear given our society's falling standards! And is it just me or does he seem to get skinnier the more ad's he does? Clearly a diet of raw fish and rum is not a nutritious diet. I don't know why he bothers me so much. I think it's his arrogance, the way he just walks around, being a polar bear, everyone loves him and just pretends they don't think it's weird he's a bear. Maybe they're too scared of him to say anything...after all, those polar bears are vicious!